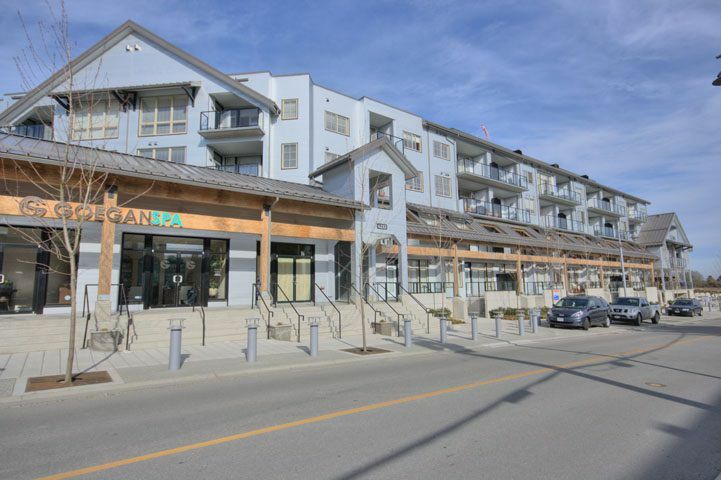 Top Floor suite in London Station I, Steveston's only concrete and steel building! Make this bright and sunny Southwest suite with soaring 18 foot ceilings, granite counters, wine fridge, premium stainless steel appliances, bamboo flooring and 2 parking spaces plus storage locker yours! Just steps away is the South dyke trail, London Farm, fitness and coffee shop retail plus upcoming new restaurants, at the boardwalk. Fantastic tenants at $2200 per month would love to stay! This home shows well!